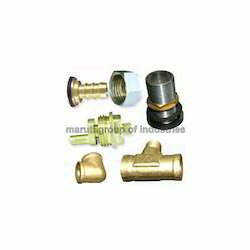 We are a leading Manufacturer & Exporter of Brass Sanitary Fittings such as Sanitary Parts and Brass Male Female Tee from India.Apart from this, rigorous quality checks of these parts are carried out on strict quality parameters to ensure their perfect suitability in the applied application areas. Innovation is our forte and we are engaged in manufacturing, supplying and exporting a commendable range of Sanitary Parts. Our offered parts are engineered as per the defined guidelines of the industry by employing technically advanced machines and cutting-edge technology. Apart from this, rigorous quality checks of these parts are carried out on strict quality parameters to ensure their perfect suitability in the applied application areas. 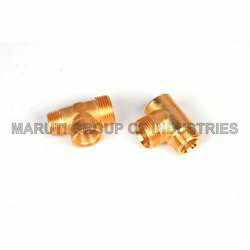 We are listed among the prominent manufacturers, suppliers and exporters of Brass Male Female Tee. These tees are manufactured in tandem with the international industry guidelines and norms by making use of premium grade brass and components. All our offered tees are acclaimed in the market for their availability in numerous grades and dimensions. Looking for Brass Sanitary Fittings ?